For those observing, this is it – the last meatless Friday of Lent. If you’re looking for a quick, easy and delicious way to send it off, this dish is for you. I’m a big fan of blackened anything. Blackened chicken, blackened shrimp, blackened fish…I’m all over it. The combination of spices is always a nice blend, not too overpowering but packed with flavor. A nice glass of wine or an ice cold beer always washes it down well. I served this with baked kale chips and roasted tomatoes with garlic (recipe coming soon!). Make this tonight – you’ll be glad you did! Attention: to all Moms of 2 year olds who haven’t attempted this project yet – 6 is just the right amount of eggs. Anymore and I would have lost Bella, FAST. Mix the first 4 spices together in a small bowl. Put the mixture on a plate and coat the flesh side of each piece of salmon. Heat a cast-iron pan over medium heat, then add oil. Let the oil smoke heavily, shut heat off, and add salmon flesh side down. Turn the heat back on and cook for about 3 minutes. 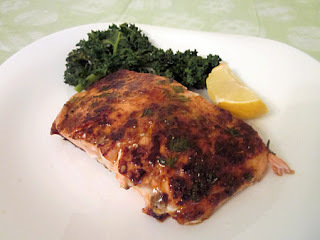 Flip salmon over and cook until skin is crispy, about 7 minutes. Plate, sprinkle with lemon zest and juice and serve immediately. 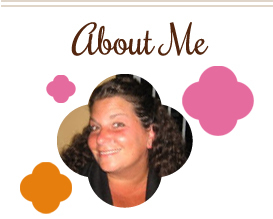 This entry was posted in Annabella, main dishes, QuickAndEasy, salmon, seafood. Bookmark the permalink. That salmon looks wonderful. But, I really love the pictures of Bella! Looks like she enjoyed herself! It’s not easy to take the spotlight from a delicious-looking blackened salmon, but Bella’s beautiful and joyous face does just that. These photos would make anyone smile! Salmon is my favorite fish! I can’t wait to try this! Unfortunately, I’m the only one that will eat it in my house. I guess they don’t know what they’re missin’! Thanks for sharing this on Melt in Your Mouth Monday!